Anyone who has lived near New Haven, CT, in the past 40+ years has surely heard of Toad’s Place. Located in the heart of the city, adjacent to Yale, the building was originally the Yale Co-op. Then in 1975, Mike Spoerndle opened Toad’s as a French/Italian restaurant. 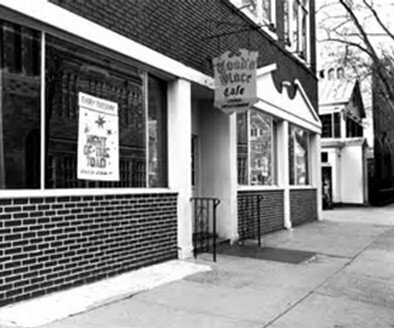 To boost patronage, he added live music, usually bluegrass or blues and in 1976, noting the positive response to the music, Toad’s Place was reborn as a music venue. Toad’s quickly gained popularity featuring 25¢ beer nights at a time when the drinking age was still 18. Muddy Waters was the first prominent talent to perform at Toad’s, but soon, all types of music could be heard and “all-age” shows turned Spoerndle into “the man who made Connecticut rock.” Eventually, “All roads lead to Toad’s” became the club’s motto. Toad’s grew at a time when superstars still preferred smaller venues. With a capacity of 1,000, Toad’s served as the perfect spot for these musicians. U2 played one of their first U.S. concerts there, on their Boy tour. In 1979, Bruce Springsteen had a concert scheduled in the Hartford Civic Center when the roof collapsed under heavy snow, resulting in the concert being moved to the Colosseum in New Haven. During his time in New Haven, Springsteen arrived at Toad’s, unannounced, and got up and played for about 30 minutes. The surprises kept coming and the club was attracting big names, as well as up and comers. The Springsteen event was certainly not the most historic in Toad’s history. 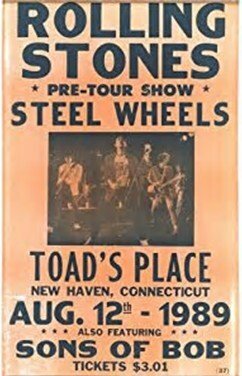 In 1989, the Rolling Stones had been rehearsing for their Steel Wheels tour in a private school in the small town of Washington, CT. One Friday night, the club was informed that the Stones wanted to do a show on Saturday. Toad’s put it together and for $3.01 per ticket, 700 fans had the night of their dreams. Nothing could have been better. The Rolling Stones in downtown New Haven was unimaginable! Then, the following year, with four days notice, Bob Dylan, age 49, selected Toads Place for his first club show in 25 years. Unlike the usually aloof performer, Dylan engaged with the audience, even taking requests, giving the show the feel of an open rehearsal. Dylan played for nearly six hours, one set being four hours long. This was the longest show in his thirty-year career. The club was fifteen years old and had already managed to cement its place in music history. Being so close to the prestigious Yale University presented some unique challenges for the sometimes noisy and chaotic life of a nightclub. Toad’s worked hard to be a good neighbor and provided electricity to nearby businesses during power outages using its back-up generators. The generators were needed in case an electrical emergency occurred during a show. Yale undergrads enjoyed the club and it became one of the few places where townies and Yalies would mix. One evening when Cyndi Lauper was on tour, she was taken to dinner at a local restaurant across the street from the club. During dinner, the Whiffenpoofs, Yale’s acclaimed a capella singing group, came to her table and sang her hit song, “Time After Time.” A teary-eyed Cyndi invited the group to her show the following night. During her show, Cyndi invited the Whiffenpoofs onto the stage to perform. Having the Whiffenpoofs was another first for Toad’s, and helped strengthen the continued friendship between the club and the university. By the 90s, the major stars were favoring bigger venues and even bigger mega-shows. 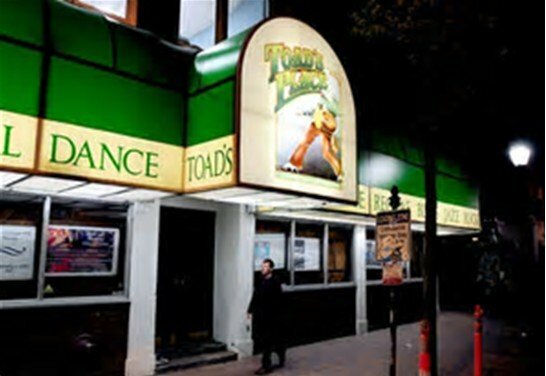 Even so, Performance magazine named Toad’s Place the number one club in the country from 1995 to 1998. In 2013, Complex.com, dedicated to pop culture, ranked the club number 30 on their Fifty Best Concert Venues. Although the interior is showing its age, the wall bearing the names of all the stars who have performed there remains as a testimony to the unlikely greatness of a nightclub in New Haven, Connecticut. Whether on the way up or on the way down, Toad’s Place remains a notable stop on the journey of a multitude of successful musicians.